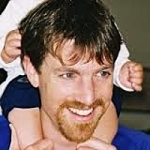 Dr. Andrew Kotaska is Clinical Director of Obstetrics at Stanton Territorial Hospital in Yellowknife, Northwest Territories, where he lives with his wife and two boys. He received his MD from U.B.C. in 1992 and worked as a GP-surgeon in northern British Columbia before returning to complete a residency in Obstetrics and Gynecology in 2006. He has academic appointments with the Universities of British Columbia, Manitoba, and Toronto; and he is regularly active in midwifery and obstetrical education. Dr. Kotaska’s interests focus on the over-estimation of risk and under-evaluation of parturient autonomy as a threat to informed consent modern obstetrics. He has published guidelines on vaginal breech birth and papers on the negative effect of epidural analgesia on labour, two-step delivery and the over-diagnosis of shoulder dystocia, the limitations of randomized trials for evaluating complex phenomena, and the pitfalls of guideline-based care. It is no secret that vaginal breech birth can be dangerous; but can it be safe? Published in 2000, the Term Breech Trial suggested that cesarean section is markedly safer for all term breech fetuses in all clinical settings. It has led to a dramatic decrease in rates of vaginal breech birth and a reduction in the obstetrical skill set needed to attend them. Increased maternal morbidity and maternal deaths from unnecessary cesareans are now being observed. Unfortunately the Term Breech Trial protocol did not include adequate measures in the selection, intrapartum management and delivery technique to ensure safety. Larger trials with stricter safety measures have demonstrated that with a cautious protocol, breech birth can be conducted safely in appropriately supported obstetrical units. What are the important selection criteria, intrapartum management measures, and delivery techniques needed to ensure safety with vaginal breech birth? Dr. Kotaska will outline the safety deficits of the Term Breech Trial and contrast them to the practice of obstetrical units that have successfully demonstrated safe breech birth. Together with participants he will explore our understanding of the physiology of breech birth, identify key components that can compromise safety, and outline clinical measures to avoid or rectify them.